This Memoir reveals my work with an ex-client using EMDR emotional healing therapy. It’s a fascinating account of her recovery of a trauma which occurred when she was 16 years old. At the bottom of the page is a podcast which is an interview with Carol E. Miller and Jan by Brooke Wagner. Carol Miller was sixteen years old when the small aircraft piloted by her father crashed. The crash trapped her in the wreckage; it critically harmed her parents. Worst of all, it ended up killing her twelve-year-old sister. This was a form of deep suffering which we call trauma. Then the trauma deepened when her father told her he wished she had died instead of her sister. For the next twenty years, she suffered feelings of guilt and lack of self-worth. She went through a life of personal crises. In her early 40’s she reluctantly began therapy with Jan using EMDR (Eye Movement Desensitization and Reprocessing) and she began to look into the psychologically crippling effects of the plane crash. She was assisted in using bi-lateral stimulation, part of EMDR protocols. Its purpose was to desensitize and reprocess her fiercely defended and repressed memories. As an adult she learned to challenge the belief that the crash was all her fault and that she didn’t deserve to be alive. This is a brave and revealing memoir of recovery from tragedy and a fascinating, vividly narrated exploration of the increasingly popular eye-movement therapy developed to heal the wounds trauma leaves in its wake. Find Out How EMDR Works. You can listen to an internet interview here about this EMDR process in emotional healing. This interview discusses how EMDR was able to bring about deep healing of a childhood trauma. It is a fascinating story that everyone interested in this subject should listen to. 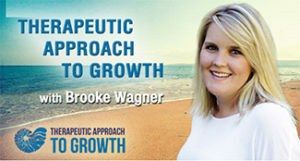 It is conducted by Brooke Wagner, a talk show host, with Jan and Carol Miller. If you listen to this three way discussion, you will understand how EMDR emotional healing works. It lasts almost an hour; it could change your life. You can find Carol E. Miller’s Memoir on Amazon here.